At the start of this year, Google had faced some serious attacks from some parts of China, after which it threatened the Chinese to remove itself from China. After so much talks, arguments the Chinese Government has renewed Google’s ICP (Internet Content Provider) License. This will help a lot of Chinese people who missed Google’s Ultimate Service during the course of about 6 months, though there were many hacks, tricks made & written respectively to access it somehow. 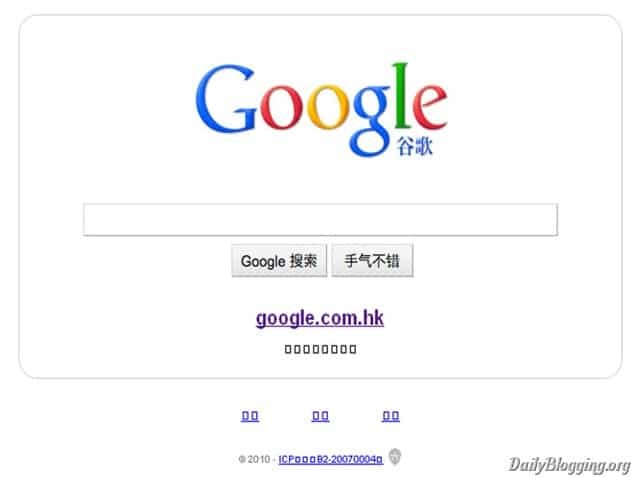 During this period Google Officials played their Smart minds by Redirecting the Chinese home page (i.e google.cn) to its Hong Kong Page (i.e. 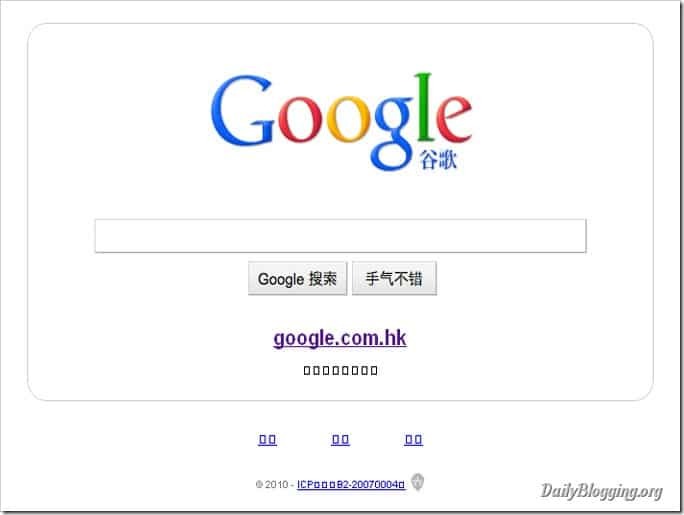 google.com.hk) to prevent loss of traffic. But the Chinese Government was smarter and they had clearly stated that unless Google removes the Re-direct it will not renew its ICP License which is very much-needed by Google to operate in the Chinese area. 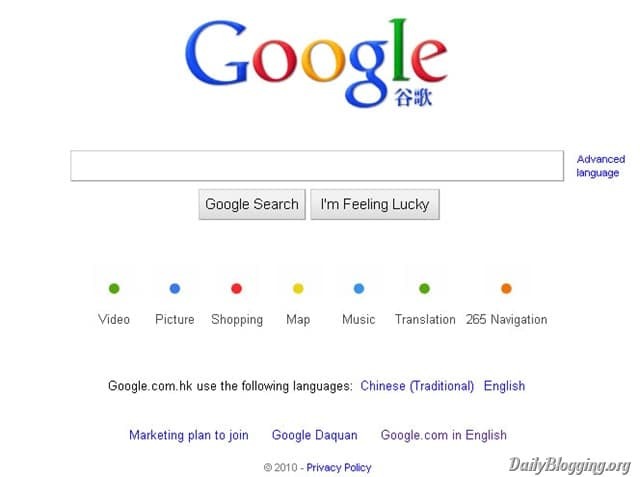 Now Google has stopped redirecting its visitors automatically to its Hong Kong Search page, and it duly gets its ICP License renewed by the Chinese Government. Now when we click anywhere on google.cn it will redirect to the Hong Kong search page. Since they have got the ICP License renewed now, they might again start functionalities on the Chinese Home page. We are very pleased that the government has renewed our ICP license and we look forward to continuing to provide web search and local products to our users in China. Maybe they will bring the Hong Kong page (Check the above Screenshot) to the Chinese page, or recreate another one. I think the latter will be a better option to opt-in. What do you think about this move by Google ? 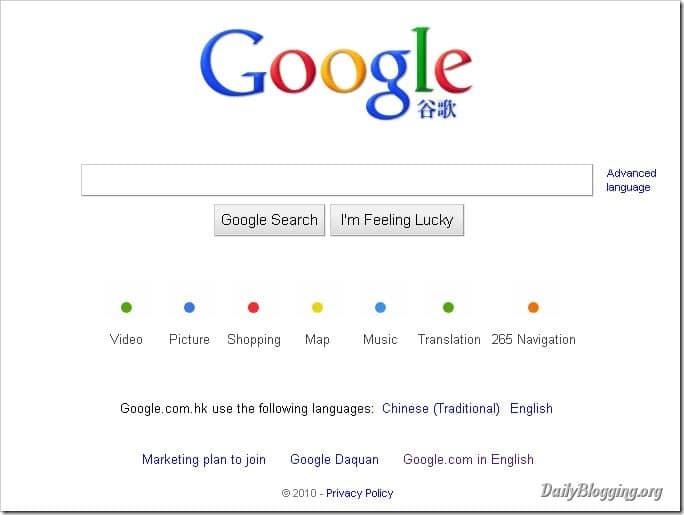 Whether they should make a brand new Homepage for the Chinese, or keep the Hong Kong one ? Write in your views using the comments section.